The Moose and Bear Island Light brings the most popular lodge design elements together. 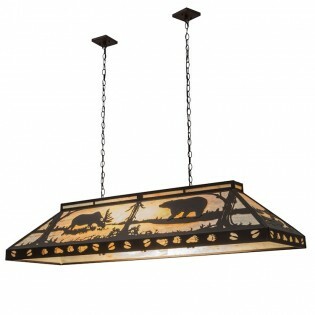 Bear and Moose graze peacefully near wooded lakes while each end of this oblong light features a canoe scene. 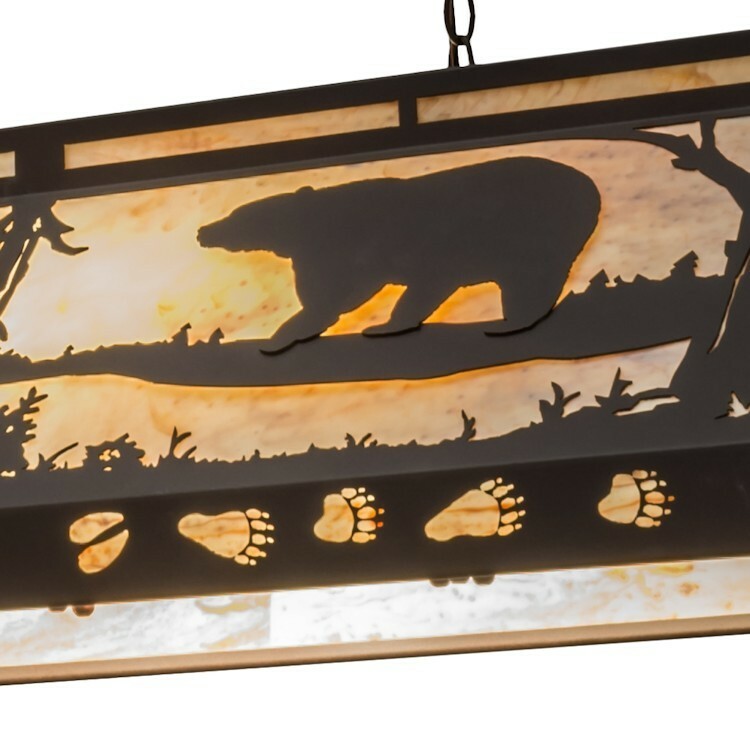 This light has a Cafe Noir finish and Natural Horn Acrylic panels, the apron is trimmed with moose and bear track cutouts.